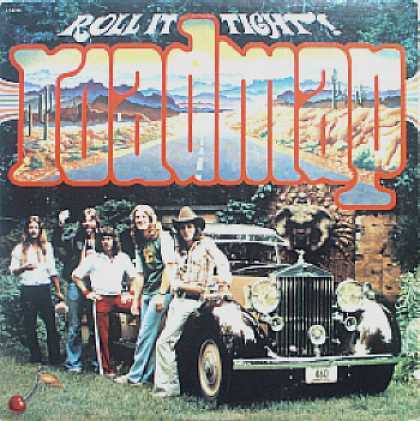 This record was released on the Cherry Records label out of Houston, Texas (not to be confused with the Cherry Red record label from England, which also existed in 1978). A copy of this 33-minute album in new condition — a delete, no less (you know, the kind with the hole punched through a corner of the record cover), sells currently on E-Bay for about 17 bucks (USD), and no bids are being considered. Just pay them the money. And that doesn’t count shipping. You can also buy a T-Shirt on E-Bay in connection with this album for $19.99 USD, gently used. While half of the internet wants to sell me a copy of this album at wildly varying prices, and there is much euphoria among the sellers about how rare this record is, nobody seems to know anything more about this band. Just give the sellers your money. Frank Ford and Andy Angel were a 70s lounge act playing instrumentals. 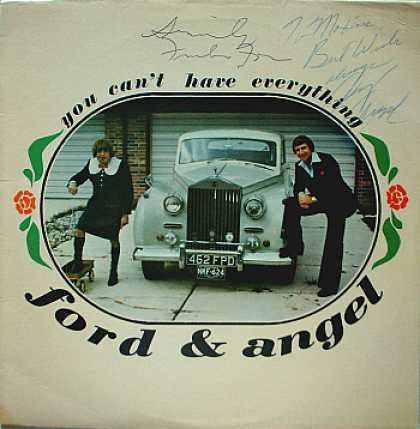 Their 1977 album “You Can’t Have Everything” looks like a comedy album, but is really an album of jazz and funk standards that were current with the late seventies. This album is reputed to have a killer version of Herbie Hancock’s Chameleon. Once again, not much else is known about these guys. As you can see, the record illustrated is autographed.